Gov. Greg Abbott has vetoed 50 bills that were passed during the regular legislative session, his office announced Thursday. That's several more than he vetoed following the last session and the most a governor has doled out since 2007. Abbott offered a number of common explanations for his vetoes, calling the bills unnecessary, too costly or too burdensome. He vetoed at least five bills for the same reason: The House bill's author asked for a veto because he prefers the Senate companion. Abbott vetoed one measure, House Bill 1284, because, in his telling, the legislation was the "exact same bill" that he vetoed in 2015. The legislation deals with the licensing for certain electrical workers. 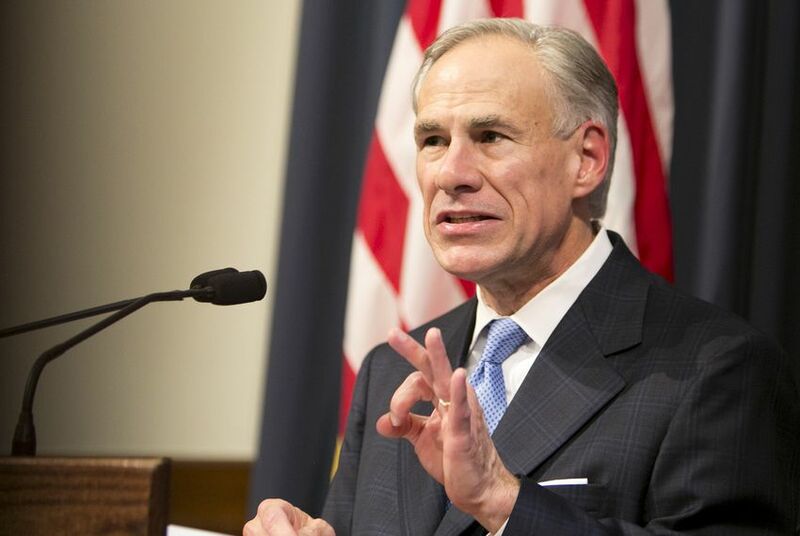 In at least two instances, Abbott vetoed bills on the same topics that he has asked lawmakers to address in a special session starting July 18. One of them, House Bill 2410, would have allowed for mail-in-ballot-only elections in certain small county elections — Abbott said mail-in ballot fraud is too serious of a problem to risk it. In another veto with a connection to the special session agenda, Abbott nixed Senate Bill 744, saying it did not go far enough in beating back municipal tree ordinances. "I applaud the bill authors for their efforts, but I believe we can do better for private property owners in the upcoming special session," the governor said in his veto statement. Another measure he vetoed Thursday was Senate Bill 790, which would have kept in operation an advisory group that makes recommendations to the state on its women's health services. Abbott said in his veto statement that SB 790 "does nothing more than extend the expiration date of a governmental committee that has already successfully completed its mission." "Rather than prolong government committees beyond their expiration date, the state should focus on programs that address more clearly identifiable needs, like my call for action to address the maternal mortality rate during the special session," Abbott said. Janet Realini, vice chair of the women's health advisory committee, said wrapping up the group was premature. "There's 1.8 million women who need publicly subsidized services, family planning in particular, and right now we're serving less than a quarter of those, so I think we have a long way to go," she said. "What the governor has done is put the health and safety of Texans at risk by removing a tool that would have reduced illegally dumped tires, which are breeding grounds for mosquitoes that carry Zika and other dangerous illnesses,” the bill’s author, Democratic state Sen. José Rodríguez of El Paso, said in a statement. Meanwhile, legislation that craft breweries worry will limit their ability to grow is likely to become law without the governor's signature. The legislation will require breweries that produce more than 225,000 barrels of beer a year to sell their beer to a distributor. Breweries call it an "extortion fee," but distributors say the legislation helps preserve the state's three-tier regulation system for alcohol. All of Abbott's veto statements announced Thursday can be viewed here. Abbott faces a Sunday deadline to veto any bill passed during the regular session, but his office said he was done after the 50 vetoes. HB 61 - Relating to consideration under the public school accountability system of performance on assessment instruments by certain students formerly receiving special education services and to the placement and use of video cameras in certain self-contained classrooms or other settings providing special education services. HB 298 - Relating to a parent's right to view the body of a deceased child before an autopsy is performed. HB 462 - Relating to the provision of notice of proposed rules by state agencies. HB 2798 - Relating to the authority of a county to implement a pilot program to reuse wastewater at county facilities. HB 2943 - Relating to the use of money in the state water pollution control revolving fund. HB 3025 - Relating to open, uncovered, abandoned, or deteriorated wells. HB 3055 - Relating to the restrictions on political activities for a county elections administrator. HB 3281 - Relating to the eligibility of certain municipalities to establish homestead preservation districts and reinvestment zones. HB 3987 - Relating to the authority of the Texas Water Development Board to use the state participation account of the water development fund to provide financial assistance for the development of certain facilities. HB 572 - Relating to the disposal of pesticides. HB 4310 - Relating to the temporary board of and financing of certain facilities and improvements by the LaSalle Municipal Utility District No. 1; providing authority to impose an assessment. HB 4311 - Relating to the temporary board of and financing of certain facilities and improvements by the LaSalle Municipal Utility District No. 2; providing authority to impose an assessment. HB 961 - Relating to the election of junior college district trustees. HB 4312 - Relating to the temporary board of and financing of certain facilities and improvements by the LaSalle Municipal Utility District No. 3; providing authority to impose an assessment. HB 1166 - Relating to liability of certain electric utilities that allow certain uses of land that the electric utility owns, occupies, or leases. HB 4313 - Relating to the temporary board of and financing of certain facilities and improvements by the LaSalle Municipal Utility District No. 4; providing authority to impose an assessment. HB 4314 - Relating to the temporary board of and financing of certain facilities and improvements by the LaSalle Municipal Utility District No. 5; providing authority to impose an assessment. HB 1284 - Relating to the licensing and regulation of a journeyman lineman. SB 196 - Relating to a notification requirement if a public school, including an open-enrollment charter school, does not have a nurse, school counselor, or librarian assigned to the school during all instructional hours. SB 570 - Relating to the regulation of the retention, storage, transportation, disposal, processing, and reuse of used or scrap tires; providing a civil penalty; creating a criminal offense. HB 1342 - Relating to child sexual abuse prevention training for public school students. SB 667 - Relating to establishing a guardianship compliance program. SB 670 - Relating to the appointment of the commissioners of the health and human services agencies by the governor. SB 744 - Relating to a tree planting credit to offset tree mitigation fees imposed by a municipality. SB 790 - Relating to the continuation of the women's health advisory committee. HB 1406 - Relating to the authority of the asset management division of the General Land Office to sell real property to a federally recognized Indian tribe. SB 813 - Relating to recovery of damages, attorney's fees, and costs related to frivolous regulatory actions by state agencies. SB 830 - Relating to the provision of accounting statements by mortgage servicers for certain loans secured by a lien on residential real property. SB 1215 - Relating to the creation of a joint interim committee to study issues related to construction contracts. HB 1426 - Relating to the issuance of a certificate of relief from collateral consequences to certain persons placed on community supervision, including deferred adjudication community supervision, for certain criminal offenses. SB 1444 - Relating to de novo hearings in child protection cases. SB 1525 - Relating to studies by the Texas Water Development Board of water needs and availability in this state. SB 1743 - Relating to transferring the Office for the Prevention of Developmental Disabilities to The University of Texas at Austin and renaming the office the Office for Healthy Children. HB 1433 - Relating to the statute of limitations applicable to the collection of a contribution, a penalty, or interest under the Texas Unemployment Compensation Act. SB 1912 - Relating to certain notice requirements and filing requirements in court proceedings involving persons with mental illness and representation of proposed patients in proceedings for court-ordered mental health services. SB 1992 - Relating to the allocation of housing tax credits to developments within proximate geographical areas. HB 1500 - Relating to the public school accountability system. HB 1586 - Relating to the services that require a structural pest control license; changing the applicability of an occupational license. HB 1764 - Relating to the operation of metropolitan rapid transit authorities. HB 1859 - Relating to certain rental-purchase agreements. HB 2182 - Relating to the authority of a county assistance district to impose a sales and use tax. HB 2334 - Relating to the imposition of a criminal penalty for the violation of a rule adopted or order issued under the Flood Control and Insurance Act in certain counties. HB 2377 - Relating to the development of brackish groundwater. HB 2378 - Relating to extensions of an expired permit for the transfer of groundwater from a groundwater conservation district. HB 2410 - Relating to the authority to conduct a runoff primary election by mail in certain counties. HB 2463 - Relating to requiring state agencies to develop written succession plans. HB 2475 - Relating to the sales and use tax exemption for certain amusement services. HB 2774 - Relating to the installation of unsafe motor vehicle tires; creating a criminal offense. HB 2783 - Relating to the assessment of litigation costs and attorney fees in certain lawsuits under the public information law. HB 2792 - Relating to housing authorities established by municipalities and counties. Kirby Wilson, Marissa Evans and Chris Essig contributed to this report.